Puccini Museum, Lucca, Italy. By Barbara Lewis. The Tuscan walled city of Lucca was founded by the Etruscans, colonised by the Romans and was for centuries an independent city state, which Napoleon conquered and installed his sister as Princess of Lucca. 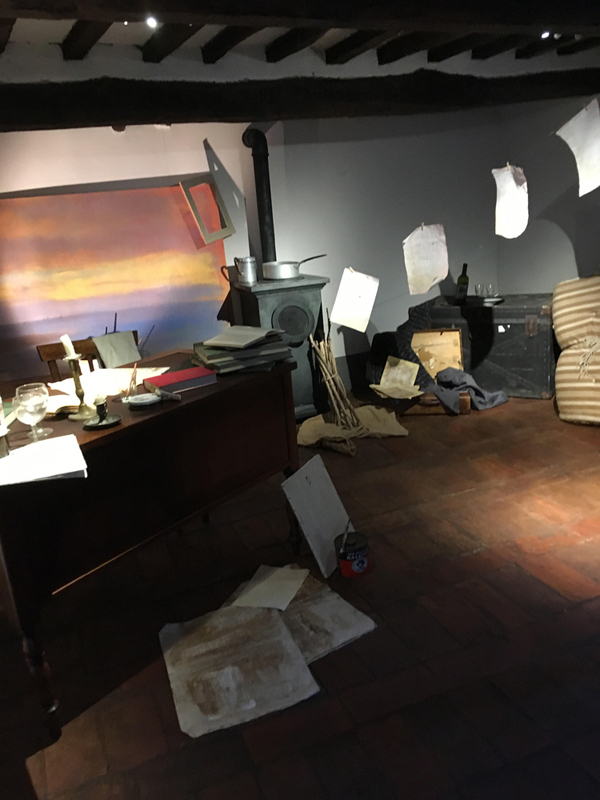 It was also the birthplace of Giacomo Puccini in 1858 in an apartment that is now a museum to the last and most famous of generations of Puccini maestros, restored to its Second Empire glory, down to a bed, surrounded by columns, that replicates the one in which Puccini was born. In a beginning of high drama, Puccini was baptised almost immediately because of concern he wouldn’t survive. 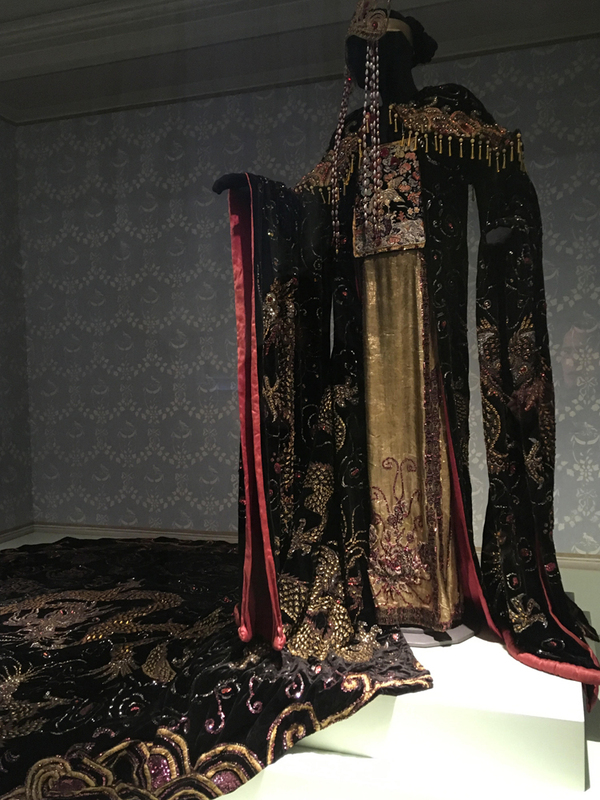 The museum is testament to the recurrent tragedies, La Boheme-style poverty and illicit affairs that characterised the life of operatic intensity that followed. 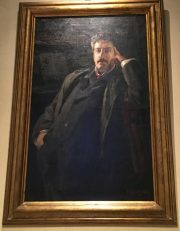 His portraitist Luigi de Servi referred to his subject as “the illustrious and pitied maestro Giacomo Puccini”. The home itself only became permanently Puccini’s after he wrote Manon Lescaut, his first enduringly popular opera, premiered in 1893. 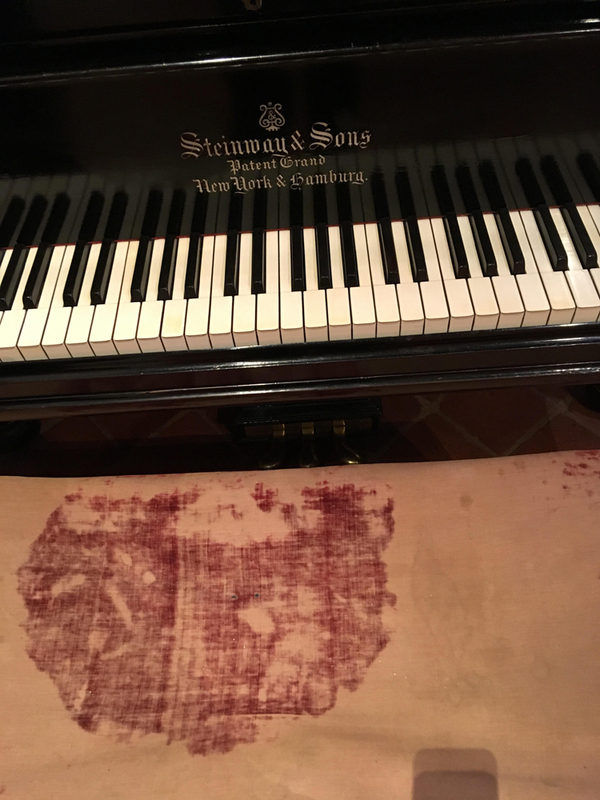 We begin in the entry parlour where we encounter the Steinway grand, featured In the background of de Servi’s portrait, at which Puccini composed, and the well-worn piano stool that bears the imprint of where he sat. From there, we wander rooms that relate his life and work. Madame Butterfly is evoked by an American marine officer’s jacket, La Boheme by an attic that could have inspired the opera’s garret-setting, while his last work Turandot is represented by the richly-jewelled dress and train worn by Maria Jeritza in the first staging at the Metropolitan Opera in New York. But it’s in the kitchen where we feel closest to the personality of Puccini. Tucked away in the kitchen drawers are letters written in his flowing hand. He concerns himself with daily practical details, shipments of wine to a brother so often ordering alcohol he fondly addresses him as “vino”, and justifications for his endless affairs: “all artists cultivate these little gardens”. He married his wife Elvira after 20 years of living with her, a marriage made possible only by the murder of her husband, also a serial womaniser, who was killed by the husband of one his amours. Puccini at the time was recovering from a car crash that nearly killed him, although he still found the energy to be unfaithful to the wife it had taken him two decades to marry. The music that flowed from all this turbulence makes us inclined to forgive him, as, arias ringing in our ears, we leave his “casa natale”, past the “beware of the cat” sign and the bicycles of all the modern-day occupants of the other apartments in the block and out into the square for coffee in the Café Manon Lescaut. London Grip Poetry Review – Pauline Sewards	The Cane, by Mark Ravenhill, Royal Court Theatre. Review by Gary Beahan.